Fabric pumpkins are the perfect fall decoration. 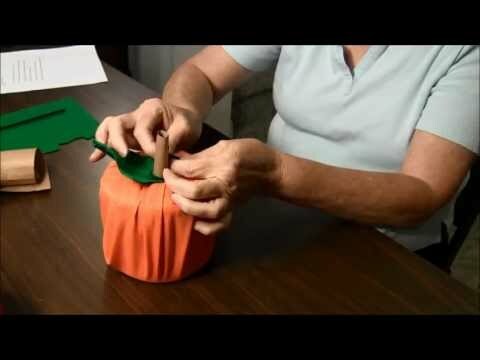 This fabric pumpkin project is SO easy, SO quick and SO inexpensive. A great kids idea craft which only take about 5 - 10 minutes to complete. 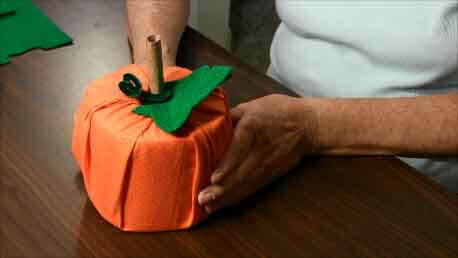 Click to watch the Fabric Pumpkin (Toilet Paper Roll Pumpkin) video in Youtube. Strip cut from brown paper bag approximately 12" x 4" or 5"
* Lay the fabric, print side down, on a table. * Place the toilet paper roll in the center of the fabric. * Gather the fabric around the toilet paper roll and tuck ends into the center of the roll. * Roll the brown paper bag strip into a tube and glue the edge to prevent it from unrolling. 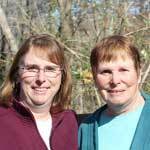 * From green felt cut out a pumpkin leaf. Note: If you need a template for the leaf pattern, just search online for pumpkin coloring pages and use one you like. * Glue a green pipe cleaner to the center of the leaf to create a stem. * When dry, wrap the pipe cleaner leaf stem a few times around the pumpkin stem. 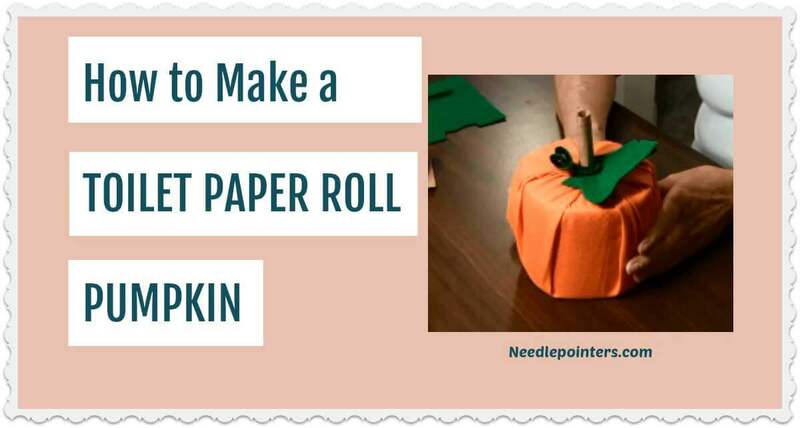 * Insert the stem/leaf piece into the center of pumpkin roll. * Curl other end of pipe cleaner with your finger or pencil. The fabric pumpkin roll is finished! These fabric pumpkins are fancy enough to adorn any room in your home. Group several together with different fabrics for a stunning display.